WPForms and Gravity Forms are one of the two most popular names that buzz around our head when we talk about one of the best WordPress form builder plugins. Both of these are powerful plugin options that come up with very easy to use and interactive interface. Due to the presence of various advanced features in both of the above, it gets tough to select the best one for your project. We are here going to create an interesting comparison between both of the form builder plugin options so that rather than trawling the two, you can easily decide for the same. We are going to highlight the main features and the significant differences between the both so that rather than wasting your time for selecting the best option you can make use of the same for constructing some excellent forms for you. WPForms VS Gravity Forms: Which is better? WPForms comes up in four modules ranging from $79 for the necessary license to $599 for the Elite license. Price options are comparatively less for Gravity Forms i.e. three. You have to pay here $59 for the basic license whereas a sum of $259 will be deducted from your account if you choose upon the Elite License. All of the packages being involved here are valid for one year. The price options WPForms offer are quite higher than that of Gravity Forms. The price options Gravity Forms are relatively low. WPForms offers a great ease of usage to the users with the help of simple drag and drop option to add various fields to your form and to edit them as per your preferences. Gravity Forms offer intuitive drag and drop form builder option to the users that makes it easy to add different fields to your form. WPForms are best to be used by beginners as the interface is quite interactive and easy to use. Gravity Forms is basically for the intermediate or high level professionals as the complexity about usage is there. It hardly takes a few minutes to build up a perfect form. The time required for building up a perfect form is relatively higher than that of the WPForms. WPForms are being used to create simple forms. Gravity Forms are being designed to create complex forms. WPForms also offers a free version to the users as well. Gravity Forms doesn’t offer such facility. You can quickly get the live preview here about the various provided addon features such as new form templates, payment gateways, email marketing and much more. You can’t get the preview here for all that you have done earlier. WPForms is a fully features loaded form builder plugin option for your WordPress website that makes it easy to create forms like a poll or survey forms, user registration forms, post submission forms, and payment solutions, etc. Gravity form is one of the excellent form builder WordPress plugin option to create complex structures with great ease. You can easily create forms like 30+ form fields, conditional logic, spam filters, file uploads, calculations, first end forms, and integration with apps forms as well. Agile CRM Addon Feature is absent. Aglie CRM Addon feature is present. WPForms are being made perfectly secure due to the presence of inbuilt Spam Protection feature. There is no Spam Protection feature is present in the Gravity Forms, hence lacks behind in security terms. WPForms offers you the facility of using Offline Form addons. You can work on your form builder plugin option even if you don’t have any internet access. No such feature is being available there. You can only get access to your form only when you are online. You are not supposed to add any slack in WPForms. Slack addon option is there to make a more complex form. WPForms offers you the facility of creating multiple page forms without any hesitation. Gravity Forms limit your access to single page only. Yet you can create more complex forms but limited to a single page only. You can easily find multiple form templates on WPForms. No such option is available here. WPForms includes well explained extensive documentation. A gravity form has extensive documentation. Ticked based email support system is being provided to the WPForms users. The support system relies on the type of license you have purchased. WPForms: Is it Best Google Forms Alternative? So this was the throughout comparison between the WPForms and Gravity Form builder plugins. WPForms is undoubted one of the best choices one can consider. Regardless of the price tag that includes it is one of the best form builder plugin options that offer exceptional ease of usability to the users and helps them to create different forms just within few minutes. Message: I hope that you have enjoyed 'WPForms VS Gravity Forms: Which is the best option?' article on Tips2secure. However, if you want me to deliver more items, then please share my post. You can use Social Sharing Widget provided at the end of every post. After all, Sharing is Caring! WPForms: Is it Best Google Forms Alternative 2019? Are you seriously looking for the Google Forms alternatives? Well, Creating a best Google form and distraction-free form on your Wordpress is not that easy and if you have a site on Wordpress then you better know the trouble of making a form. Creating a Wordpress form is a challenge because Wordpress controls all the layouts and themes and unluckily these themes are not much prioritized by Wordpress. But now the developers have build-up the best alternative that can create ‘distraction-free’ forms easily and without taking help of anybody and the tool is called Form pages by WPForms. People spend a lot of money to create a business website and they often feel disappointment when people leave the site without filling their forms and never look interested in surveys. WPForms is the way to create ‘distraction-free’ forms on your Wordpress. You need not to hire any developer; one can do all the landing pages and other forms creating a procedure by itself. WPForms allows you to fix all the bugs and errors with its WPForms addon. You can simply activate the ‘Form Page Mode’ through the settings. You can easily attach your logo and form details, URL of a landing page, and other description. Google forms are mostly used by thousands of people for creating such kinds of survey forms, poll forms etc. it was popular since we are not introduced by WPForms. You can have an app of Google form service in your android device but still, it is not better than WPForms and that’s what we will describe in this article. WPForms form page addon offers to build multiple types of forms easily and without any coding knowledge. If you are a beginner and had less knowledge related forms creating then it will surely help you to learn, create and manage different kinds of forms. You can build a custom landing page and related description in just 5 minutes whether Google forms take a sufficient time to create similar forms. Just enable the Form page mode clicking on the form settings. Write your form title, a few lines of description, and the URL of your landing page and that’s it. WPForms allows you to create forms in two modes, one is Classic mode and the other one is Modern mode. The Classic form is a carbon copy of Google forms and the Modern mode as name describes is new look of 2019. Here you will find the 6-color modes and you can compare colors and choose one of them. Whenever you choose the main color WPForms will automatically appear the other colors icons and gradients. Click on the save button and save your all settings and layout of your landing page and now it is ready to share with all of your clients and viewers. 2. You can build survey forms within 5 minutes and no other forms building service is as quick as Form Pages by WPForms. The main con of disinterest of users is form distraction and WPForms allows you to create attractive forms and brings traffic on your website. 4. You can make signing up options on your landing page so users can simply login and can leave their remarks. Whether you are arranging a birthday party or RSVP invitation or a business meeting or conference you can easily create events and invite people and also get feedback from them. WPForms is a modern way to create smart and attractive contact forms easily than Google forms service that acquires bit knowledge of the related field. WPForms offers predesigned templates and in just a few clicks you can create your form and share with your links but Google forms have limited templates which force you to use only the available templates. You can easily do improvements and changes in your forms with Form Pages by WPForms and addon. WPForms Vs Google Forms - Which one is better? Well, getting a closer knowledge of all the features and working flexibility and reliability we announce WPForms as a winner and it is the best alternative of Google forms in 2019. At last, we must say that if you are a serious entrepreneur and want your public to stay connected with you and you heartily want to set down your conversions and an attractive form making tool then goes for WPForms without any second thought. We have done many experiments and the conclusion was clear that WPForms proved the better one. You can also have discounts on its membership plans also the packages are quite worthy so as the services are. Form Pages by WPForms and addon is a smart solution of your every problem so go for it and share your experience with us. Message: I hope that you have enjoyed 'WPForms: Is it Best Google Forms Alternative 2019?' article on Tips2secure. However, if you want me to deliver more items, then please share my post. You can use Social Sharing Widget provided at the end of every post. After all, Sharing is Caring! If you are looking for a perfect developed form for your Wordpress site so you can enhance your business and promote your page then these developing tool can help you for sure. You need not hire any developer or any expert for making these kinds of forms you can do it by yourself easily. If you have decided to go with SurveyMonkey then wait for a second and take a look at the difference between WPForms and SurveyMonkey and this comparison will help you to make a fine decision. What is WPForms Survey & polls Addons? WPForms is a friendly tool of plugin for users to make online forms on Wordpress. It can be the best choice for Wordpress beginners or no matter you have less knowledge of Wordpress. It is available in built-in smart features and links through you can make attractive and powerful forms. Your website and page look more customizable and stunning. The default added features and forms buttons reduces all the hard work and time which were wasted during making forms and buttons. Here you will find the pre-developed templates and buttons. Every facility is available on drag to drop option and you will be surprised to see that how easy is this to use. You can simply connect it with your site and can launch a form just by simple clicks. WPForms includes online polls and addons, so you can have online reviews and polls and also can accept the online payments via this addition. You can make simple and easy contacts forms for your simple business so it would become more convenient or you can also make difficult forms that include several buttons and polls and add-ons etc. It provides smart survey fields with ease of removing and adding. Best tool in class-survey reports, NPS survey and forms. Unlimited pre-templates allow more freedom and flexibility to your work. SurveyMonkey is basically used for using online survey or online opinions of people and where people would be able to share their views and votes. SurveyMonkey adds pre-built buttons and templates to collect survey result, polls, it accepts online payments, the metrics information and after reporting and building any kinds of survey form. In addition, you will get the same drag and drop system, so you can ask questions to users and can make the answering field. It customizes all the survey options and the structure is also quite easy and simple. Before choosing any tool for contact form builder you make sure that the tool should be easy to use, the tool has a plethora of built-in templates and buttons, it should support your requirements and running program, the accessibility is also must be simple and understandable for beginners, and if we talk about the price then you must pay for the best so it can give you more than its price. 1. WPForms is a modern tool that provides a wide facility for making Wordpress contact forms easy and simple and as a developer, you will love it. 2. This tool doesn’t require any coding knowledge or pre-information regarding making forms. 3. WPForms comes with unlimited pre-designed templates so you can add according to your wish which makes it better than any other tool. 4. You can make any types of forms using WPForms like ticket forms, job application forms, survey forms; RSVP forms etc. all are available on WPForms. 5. You can easily make changes in your forms using some clicks and removing and creating a new one is also easy. 6. This tool allows you to create an online payment section to accept payment from clients using different apps like PayPal, Paytm etc. 7. 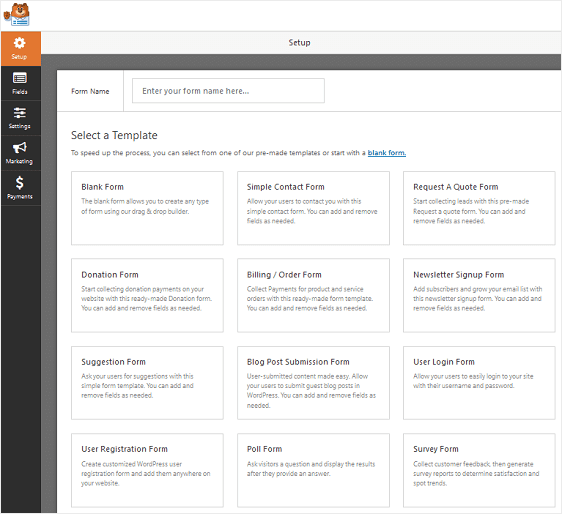 WPForms features and in-built design and templates are uncountable and it makes more impressive and powerful forms. 1. SurveyMonkey is a tool that helps to build forms related to a specific field that is called Survey forms. 2. You can create any information field easily and simply remove it or delete it. But sometimes when you wait for people’s vote and they don’t respond, it can make you feel a little disappointed. 3. SurveyMonkey tool also includes plenty of pre-built templates which are quite worthy. 4. For creating any survey form you will have to input a question to your audience which would be chosen from a dropdown list, you can add a comment section, ranking box and choice section etc. 5. It takes quality time to create questions and allows your whole system to manage this, sometimes it looks very easy but if you put wrong questions or unreasonable questions it can affect your site and promotion. 6. This tool is only perfect for survey forms. 7. SurveyMonkey features and in-built designs and templates are limited and require much information and lack of that can make your form lousy and weak performed. There is no specific field added to create password field, agreement field and Captcha etc. Several illogical questions make your form long that disturbs user’s concentration and interest; also you can have limited response every month. It never allows recurring survey system in first tier plan, so if you are eager to create then you have to wait and waste your money. Uploading a file requires a high paid plan and you will get the brand name on the footer side. There is no limitation of creating fields and entries and the dashboard management is also quick and simple. All the plans provide file uploading and you can create survey, polls and add-ons forms. It automatically manages your Captchas and provides anti-virus system which enables the safety assurance. You can save your forms with a password and can create several forms in one time and can manage them easily. Here we see, WPForms wins. WPForms announced as a winner, comparing the prices of both, the features of both, the ability and working clarity of both clears the main point that WPForms survey and poll addon is much superior and smart way to create forms with, so choose it and experience by yourself. If you have still any doubt then compare by yourself. WPForms has other many qualities which you surely are going to love and nowadays it is an excellent tool to make your Wordpress page attractive and advanced. Message: I hope that you have enjoyed 'WPForms: Best SurveyMonkey Alternative? [Comparison 2019]' article on Tips2secure. However, if you want me to deliver more items, then please share my post. You can use Social Sharing Widget provided at the end of every post. After all, Sharing is Caring! Finding the right host for your website can be a challenging process. With different types of hosting, plans, and features, it is difficult to determine which hosting plan will help you run and manage your website efficiently. Even if you compare the features and benefits advertised by the hosting providers, there is always a concern of receiving the promised benefits. You can read reviews from other users to assess the reliability of the host, but a better way of doing it is by looking at the data centre of the host and assessing the features it can offer. Since not all site owners are technically savvy, we have shortlisted four things that a growing business needs from a data centre offering Cloud Hosting Service. Before you start looking at the technical specifications, pay attention to the HVAC system of the data centre. Even the best hardware resources cannot perform optimally if the HVAC system is not up to the mark. For optimum performance, the data centre should have adequate cooling, humidity, air supply, and power distribution. Security of data is certainly the primary concern for most website owners. Talk to the service provider and ask about the steps taken by him to ensure the security of your data and the backup storage system. Some aspects that you might want to check off the list are latest anti-malware and antivirus tools, redundant data storage systems (like Ceph <https://www.wittysparks.com/top-4-advantages-of-ceph-storage-for-website-hosting/>), and a panel of experts who monitor and tackle security threats. Instant scalability of resources is one of the main benefits offered by Cloud hosting services. The data centre must have adequate resources and free space to house additional resources if needed in the future. It is prudent to look for plans whose data centres can accommodate instant scalability of resources. There is no central organization who rates the services of web hosting providers. Hence, don’t fall for marketing gimmicks where some providers claim to be the best in the industry. Look for reviews online. Also, try to find reviewers who have tried more than one Cloud Hosting providers as they can offer a fair assessment of the service including data centre features. While these tips can help you determine the truth in the claims made by hosting providers, it is important that you assess your hosting requirements carefully before you start looking for a host. Once you have clarity about what you need from the host, look for providers offering features that you need and then match them off against the data centre infrastructure. You don’t change web hosts regularly. Therefore, take your time, research well, and ask the right questions before opting for a hosting plan so that you can reap the benefits of Cloud hosting Services. Good Luck! 1. VPS Hosting- through this service, you can supervise your web content according to your ease. It provides full technical support for that. Initial setup is handled by the team for easy supervision. Along with that, backup storage is provided too. Its real-time monitoring allows you to witness a great performance level. It also makes sure that your server is secured. With its flexible configuration plans, you can choose your plan according to your budget. 2. Dedicated server hosting- provides branded hardware from reputed companies. It also provides extra hardware if required. It provides top class security solutions and also provides original hardware devices and servers. Along with that, it allows private peering. You can also connect to the main IXPs. 3. ANYCAST CDN- lets you quickstart the CDN platform without any obstacle. It is also fully compatible with all the applications and CMS so that there are no issues in its implementation. The optimisation feature allows your system protection from overload requests. In case you want to set a limit to the visitors from undesired countries, you can do so with the help of this feature. 4. Usage of branded hardware parts increases reliability and quality. The connection of the backup servers is so that the data transfer is done within a matter of time. Monitoring is also done round the clock in case of any issues or problems. for backup of data, one can also choose from a range of locations. To ensure normal business processes, there is an option for data backup which lets you recover lost data or corrupted data. There is a support team which provides 24*7 support and assistance in case of any types of issue. They help to resolve any problems encountered. The main feature which makes it so popular is the backup provided. It ensures that no data is lost, damaged or corrupted. In case of any such problems, you can recover your data with their excellent backup systems. It provides the best security for protecting your data. The security system provided by them helps to safeguard all the important data. They provide the best hardware from branded companies. It claims that no hardware parts are resold and it provides top quality hardware. They are offering $150 Sign bonus to all new clients. The price plan for VPS hosting is- USD 19.95 for a monthly plan of SSD-20, USD 39.95 for a monthly plan of SSD-40 and USD 79.95 for a monthly plan of SSD-80. The price plan for dedicated server hosting includes- USD 130 per month for E3-1230 V5, USD 145 per month for E3-1230 V5 and USD 357 per month for 2XE5-2630 V4. The price plan for Anycast CDN includes- 30 days free for CDN 100 GB, USD 2 per Mbps for pay as you go, USD 1.5 per Mbps for CDN 100+ Mbps and USD 1.2 per Mbps for CDN 1000+ Mbps. For more than 1500 Mbps you have to contact the website. For online server backup there are multiple plans as follows- USD 10 per month for 250 Gb, USD 20 per month for 500 Gb, USD 30 per month for 750 Gb, USD 40 per month for 1 Tb, USD 60 per month for 1.5 Tb, USD 70 per month for 2 Tb, USD 90 per month for 3 Tb, USD 110 per month for 4 Tb, USD 130 per month for 5 Tb, USD 150 per month for 6 Tb, USD 240 per month for 10 Tb and USD 450 per month for 20 Tb. The overall features and services offered by Hostiserver promise reliability, good performance and excellent support which makes it a good service provider of web hosting. Its monitoring techniques, security and performance are top notches. It also provides multiple plans which are affordable and within the budget even for entry-level companies. The backup provided ensures data protection. Their 24*7 customer supports to its clients make it one of the best companies for providing web hosting. Message: I hope that you have enjoyed 'Hostiserver Review - Managed Web Hosting and VPS Server Hosting' article on Tips2secure. However, if you want me to deliver more items, then please share my post. You can use Social Sharing Widget provided at the end of every post. After all, Sharing is Caring! Though most CMS brands will claim that they provide the ultimate security for eCommerce websites, but it can be disheartening to know that more than 66% of all eCommerce websites still have some forms of security breaches, especially with ransomware and hacking. There are mobile eCommerce websites that experience as many as 800 fraud attempts n monthly basis and few of such are successful. Fraud-prevention should be the ultimate aim of any CMS, and users of such CMS must also pay close attention to the security capabilities of their preferred CMS. 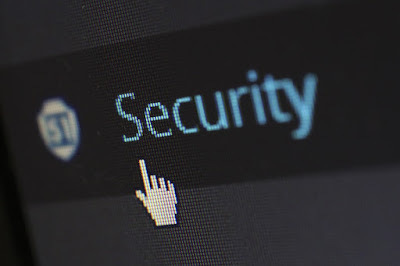 Aside from the PCI compliance, and SSL security certificates, provided by CMS, an ideal CMS must provide regular updates to ensure that users are constantly protected from cyber-attacks. Aside from the basic payment options for regular shoppers on your website, an ideal CMS should be able to provide advanced payment options for those who purchase in bulk, or bundles. For this reason, an ideal CMS software must be able to provide flexible payment option that can simplify the most complex pricing structures for customers. The CMS program must be capable of supporting as many international payment options as it can and in different languages. There are custom integrations that can be utilized to incorporate different payment gateways for local and international shoppers on an eCommerce website. Advanced payment options that are available include; Simple Pay, Pay Pal, Google Checkout, Amazon Payments, and Authorize.net. Up-selling is a feature where a customer is referred to a product or service that has greater value than the one they prefer to buy, this feature also helps in adding more features to the product the customers are evaluating for purchase. Cross-selling, on the other hand, is a feature that allows the seller to sell items that are complementary to the item they are purchasing or about to purchase. According to researches conducted by McKinsey, Upselling and cross-selling can increase sales by as much as 20 to 30%. In order to utilize these two features, you can make use of phrases such as “frequently brought together”. For more information click on the following link; https://www.magenet.com/best-cms-2017/. Aside from the e-commerce solutions required by e-commerce website owners, the web pages, product pages, meta-descriptions, title tags and even link building strategies, must be incorporated into the CMS platform in order to provide products and services with the best exposure they deserve. An e-commerce website must be optimized effectively for top search engines such as Google, YouTube, Yahoo, and Bing. Advanced SEO and marketing tools that are now found in some CMS include customer segmentation as well as grouping capabilities that work with other features such as Google Sitemaps, to provide the best exposure for products and services. You don’t need to hire an SEO expert to integrate SEO techniques through your CMS platform, an ideal CMS must guaranty all these. Do you want visitors to spend more time on your website? You need to make sure that the upload time of each web page is super-fast and intuitive. Make sure there are no downtime in the way your site respond to user operations. You need to keep in mind that your visitors will judge you by your cover, which is your home page, hence an ideal CMS must provide great plugins and themes that will not put much pressure on upload time and intuitiveness. Message: I hope that you have enjoyed 'What makes a CMS the best CMS?' article on Tips2secure. However, if you want me to deliver more items, then please share my post. You can use Social Sharing Widget provided at the end of every post. After all, Sharing is Caring!